Witches' Rave are a 4-Piece Alternative band based in Maynooth, Ireland. The band mainly draws influence from the likes of Radiohead and Jeff Buckley. There are also influences from a wide range of other acts, from grunge bands through to folk and jazz. This creates a sound which ranges from 90's inspired guitar music with hints of funk and psychedelia to more ambient, electronica inspired works. The band was formed in early Spring of 2016 as a songwriting project between Philip McCarthy and Aidan "Fraiser" McManus. That summer, a full band was set up, performing under a handful of different names before deciding on the name Witches' Rave. The band has progressed rapidly since then. 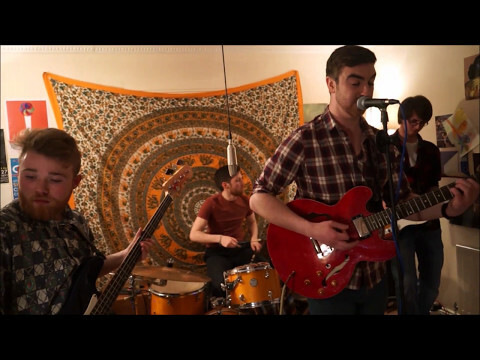 The groups involvement with the Common Grounds Collective has seen them become fixtures of a blossoming music scene which is developing in Maynooth. Witches' Rave have played support to a host of international acts as part of their recent Irish tours. 2017 has seen the band headline Dublin's Grand Social venue and appearing at the Button Factory while refining their sound in preparation for upcoming studio work.